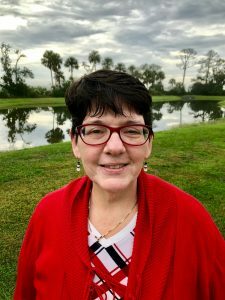 Beginning January 1, 2019, Dr. Mary Shotwell will assume the role of Interim Occupational Therapy Program Director in St. Augustine. Prior to working at the University of St. Augustine for Health Sciences, Dr. Shotwell worked at three other universities while maintaining a community-based practice in mental health and pediatric settings. She brings 21 years of higher education experience in roles as faculty, graduate coordinator, program and curriculum coordinator, and department chair. She’s excited to work with the USAHS faculty, mentor faculty-student relationships and set an example for students as they move into clinical settings. What made you excited to join the OT program at USAHS? There’s a great faculty. Faculty care about quality teaching. They care about the students and they care about maintaining credibility with students by still doing some degree of clinical practice. To me, that enhances their teaching. Also, the fact that OTs and PTs in the entry level programs are essentially next-door neighbors is great, because at other universities the PT and OT departments, if they have both, are very separate. In real life, when PTs and OTs are working with patients they work side by side. I think that rich history of interdisciplinary teaching is a good thing. It makes the USAHS graduates unique. 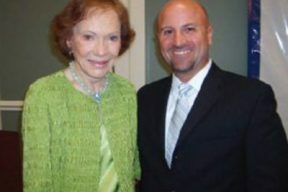 Before I came to USAHS, I was in the metro-Atlanta area and there were a lot of St. Augustine graduates there and they had a good reputation for being just good, solid practitioners. What are your thoughts on the blended/hybrid learning programs? Blended learning is quickly becoming the norm at universities across the country. USAHS has been a national leader in blended learning where the student can learn course content via multi-media pedagogues, but at the same time, interact with faculty and their peers via on-ground learning experiences such as “hands-on” labs, simulation experiences and community-based fieldwork. The blended format allows for student-centered learning by enabling the student to focus on specific topics that they need to more closely review. Because of the online portion of coursework being done ahead of time, the blended format makes the best use of the on-ground time in addressing student questions/concerns and making the most of opportunities to practice evaluation and intervention techniques so vitally important in occupational therapy practice. To enhance the visibility of the program at state and national levels. Doing that through faculty and student mentoring and on some level our new doctoral program will help with that process. Because as students begin to do their capstone projects they have to have a mentor here on faculty as well as a mentor in the community. In that regard it will advance or enhance the external view of the university. The projects won’t be internal to the organization so that’s a good thing. In doing those, I think it will enrich faculty because it’ll make them energized by collaborating on a project with students. Likewise, students will get to work with faculty in a different capacity than in the classroom or online learning. I think that the advance to a doctoral degree will enhance the educational experience both for the students and the faculty. My goal is to really mentor that process. The faculty’s willingness to speak with each other and help each other out hopefully serves as a role model for students, that’s what you do in a clinical setting. When you have more patients, you must pitch in together. So, faculty like each other and hopefully that collegiality will translate to students. USAHS is very excited to have Dr.Mary Shotwell join our OT program in early 2019 as the Interim Program Director! We know with her past experience and knowledge, she will excel in this position and bring a different perspective to the field. 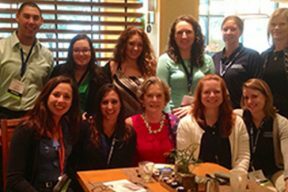 She values faculty working together and at USAHS, we take pride in providing quality education from some of the most passionate professors who want to secure a bright future for the OT profession.